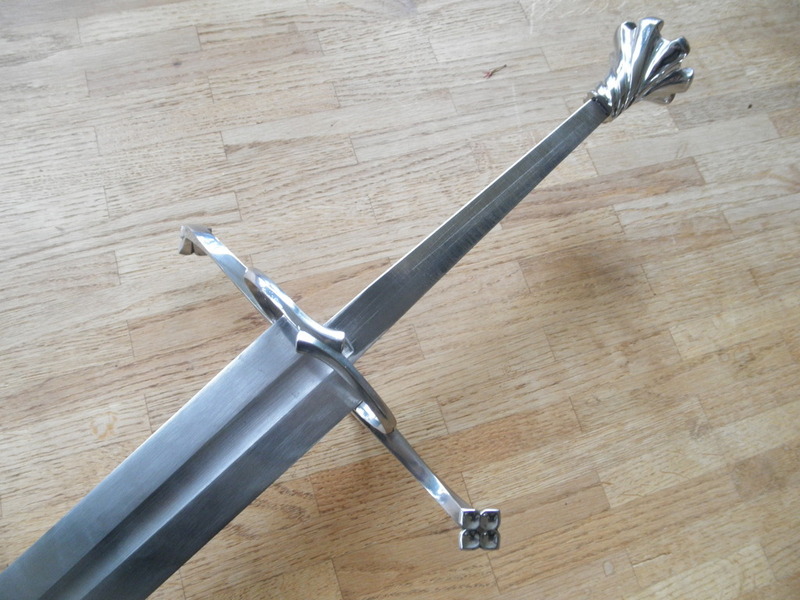 Forum Index > Makers and Manufacturers Talk > Swiss longsword - collaboration with "The Printed Armoury"! I have something cool for you. 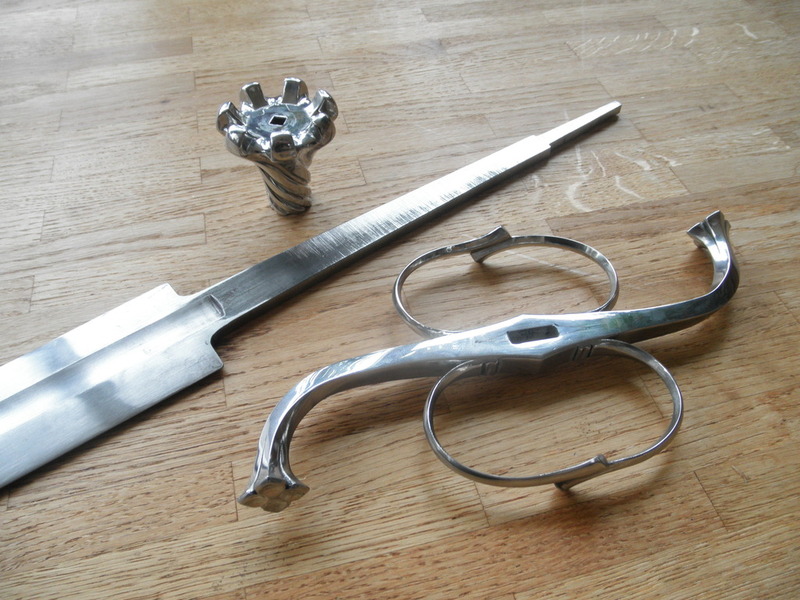 Mike Jia of "The Printed Armoury" is planning to make a beautiful set of Swiss longsword fittings. These will be cast in mild steel from a 3D-printed template. I would be happy to make a blade to go with these fittings. 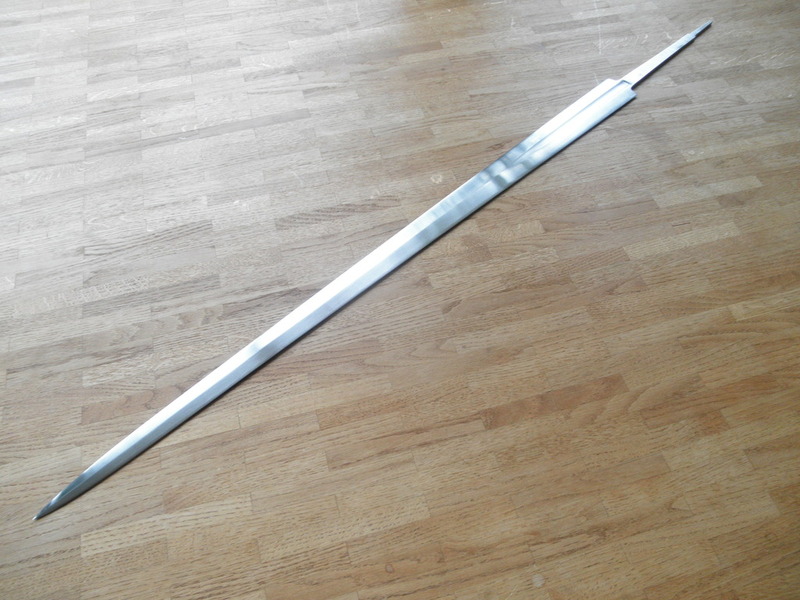 Can be a XVIII(a) blade as pictured but the fittings would also work with a XIX or even a single-edged Swiss saber design. 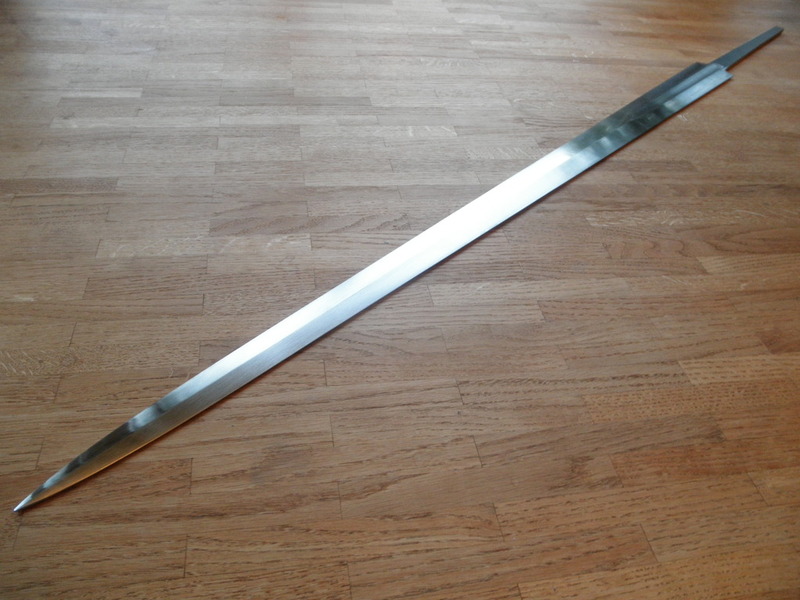 This would be a chance to own one of my swords for a substantially more affordable price than I would charge were I to make the entire sword myself. 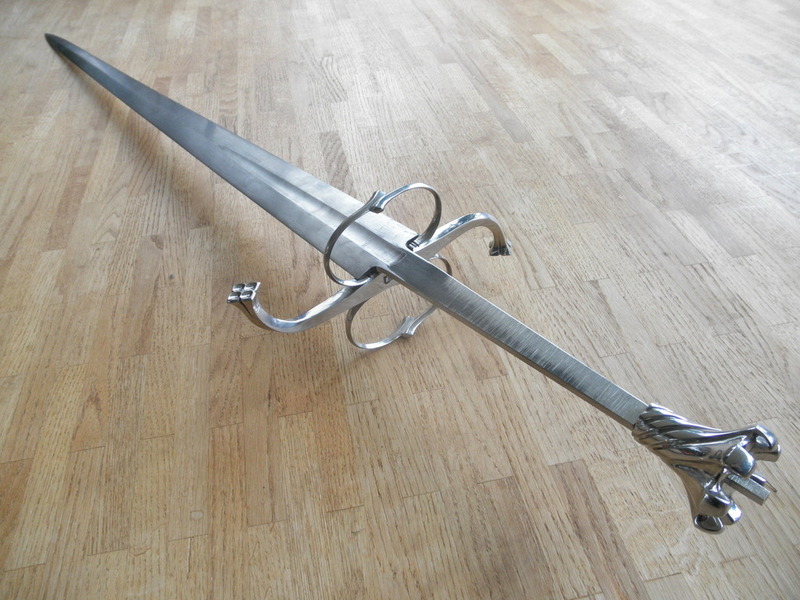 For a XVIII blade, the price for the completed sword would be around 1700 Euros, other more complex blade designs would be a bit more pricey but probably below 2000 Euros in the end. Mike told me he will have the prototypes in hands in a few weeks so this is not just a distant idea but could fast become real! What we need now is someone interested in the project to make this work. 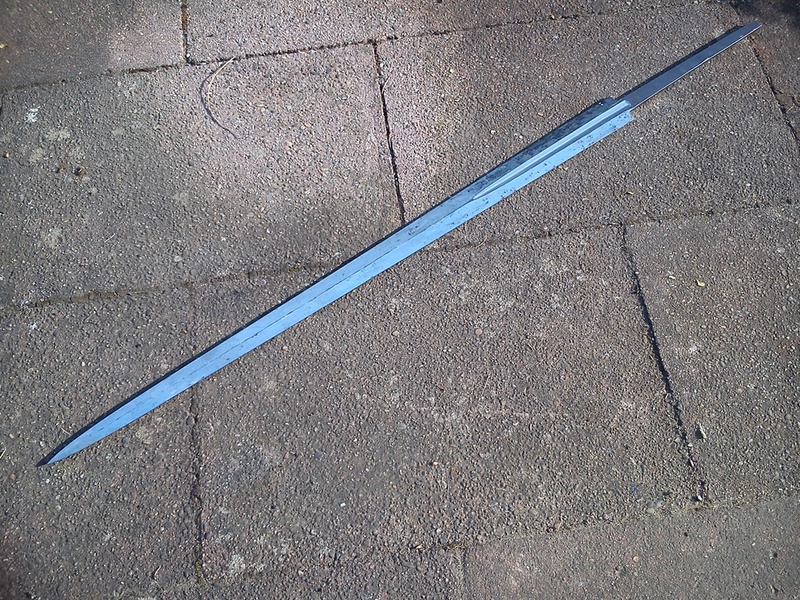 A 3-D printed sword? That would be...Awesome! The sword isn't 3D printed; a master of the fittings is printed, cleaned up, and sent to a foundry for making cast fittings. 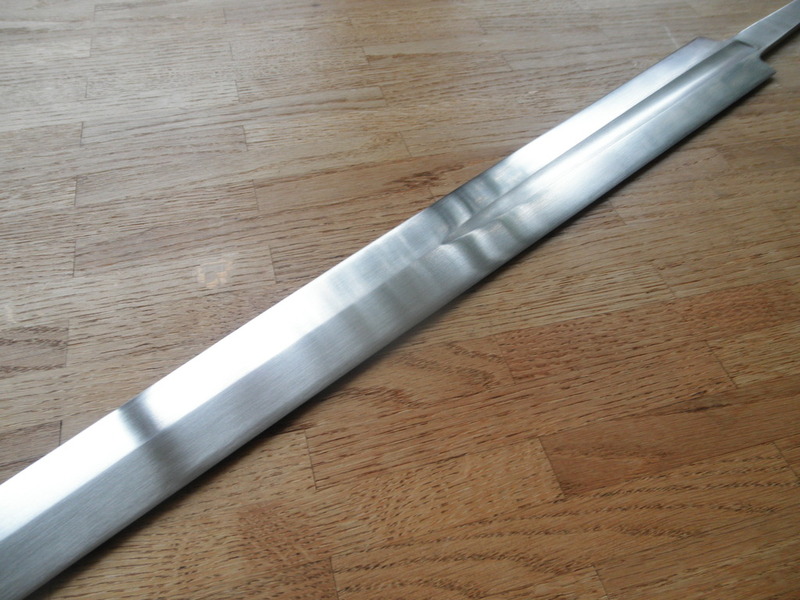 A blade, either stock or custom made, is then fit out with the metal parts. 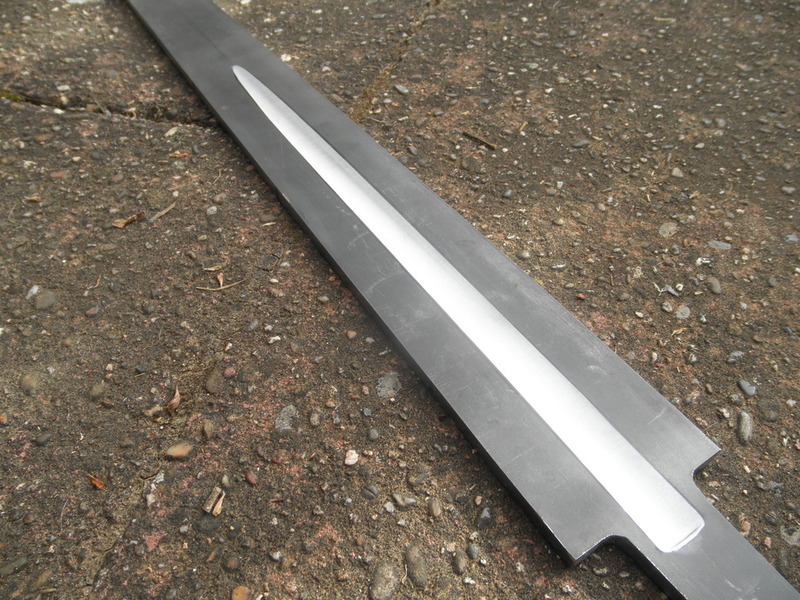 I'm pretty sure nobody has got around to 3D printing a sword blade, though an argument could be made that that's what one does with a CNC mill. I have seen that some people have made prop daggers for cosplay with 3D printers though. Presumably one could prototype casting masters for bronze weapons in such a manner. I know the Printed Armoury guy has scabbard fittings available as well that he's done the same thing with, IIRC. I know of a few super-high-end knife makers that are close to 3dprinting blades, using some of the new hotness powdered steels. Even if you got a homogenous steel structure from the sintering process, wouldn't you still require finishing grinding and heat-treatment to make the weapon reliable to use? I find it worth noting that these newmanufacturing techniques still require a lot of involvement to yield good results. On a slightly related note, I have a client for this project. XVIII blade. It will be an interesting experience to work with these fittings I think. I have started on the project. 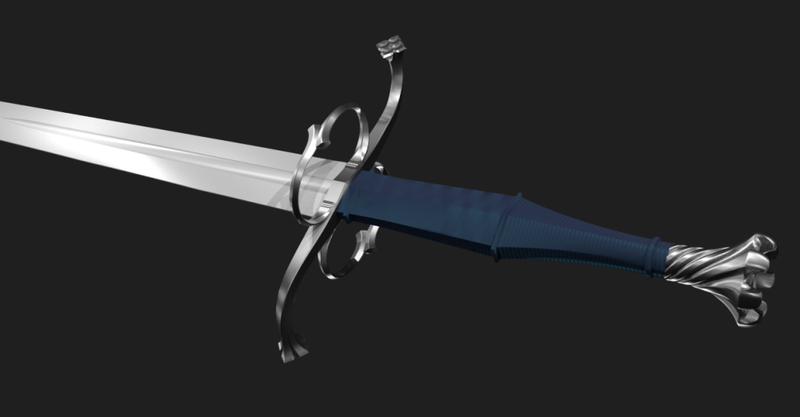 The proportions of my rendering will be a bit different after the customer's requests (longer blade, slightly shorter fuller) but overall, it will have the same visual characteristics. 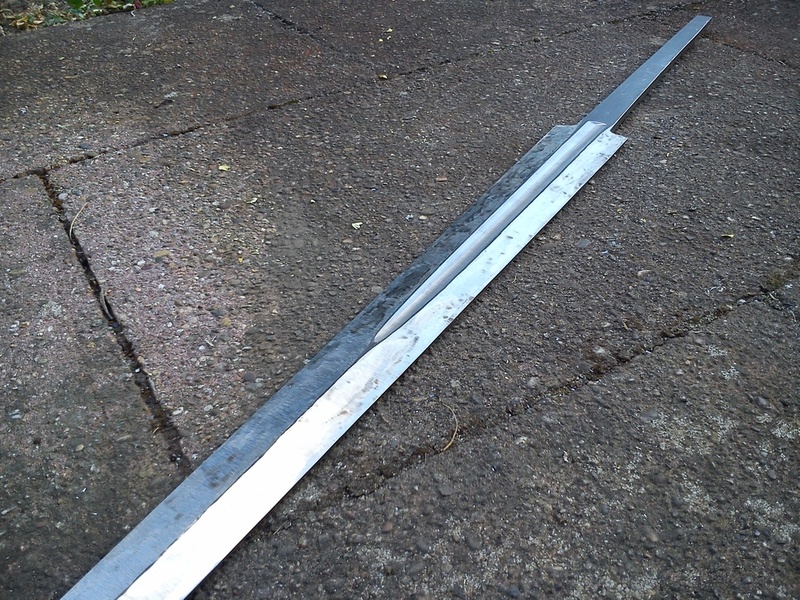 So far, the blade blank has been cut out, profiled and the fullers ground in. Grinding the fullers is always a nerve-wrecking process, even with a good set-up, because mistakes here can easily either ruin the blade completely or at least require a lot of clean-up by hand. Luckily, all went well. But I'm sure it will be a very classy piece! 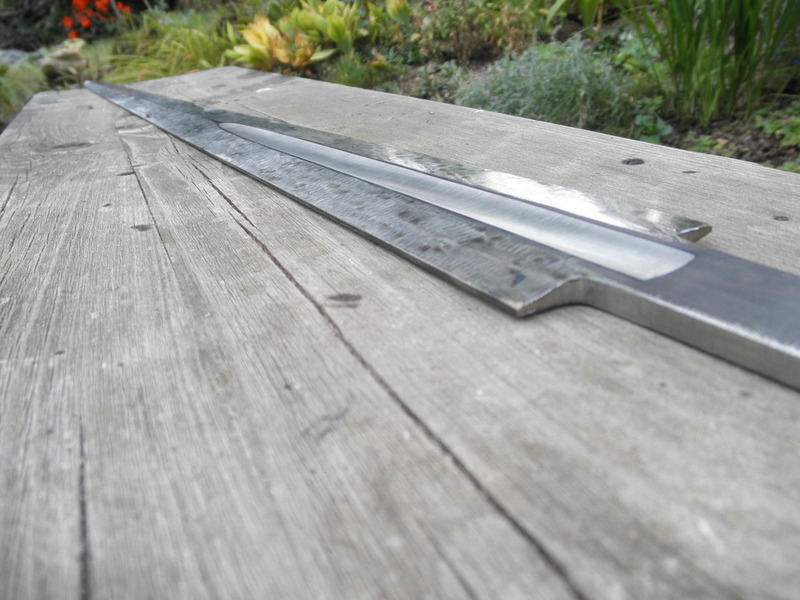 Finished rough grinding the bevels on the longsword. I'm happy with how it turned out. Now the blade needs to be cleaned up on the belt sander and though there is still be a lot of material to me removed, it already starts to feel like a sword blade. The basic handling characteristics are already there... now they will be fine tuned. 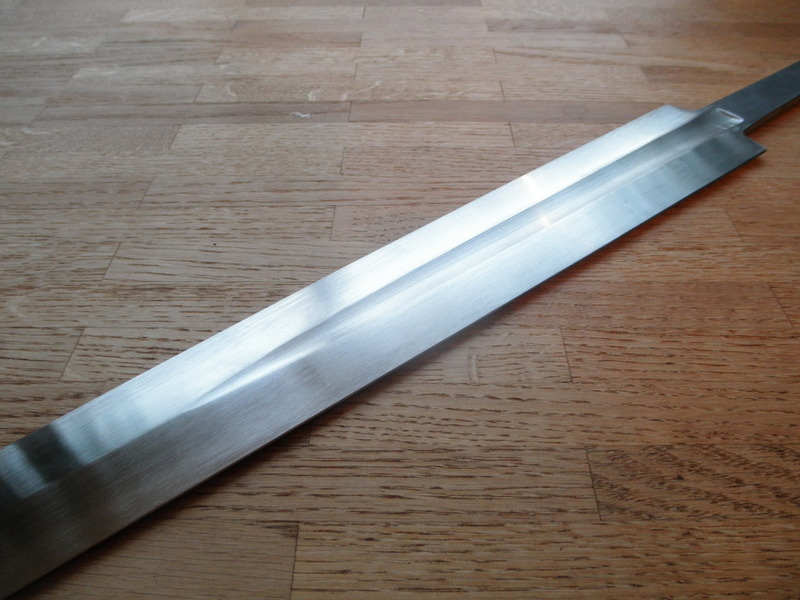 The blade is ready for heat treat. I'll be sending it out tomorrow. 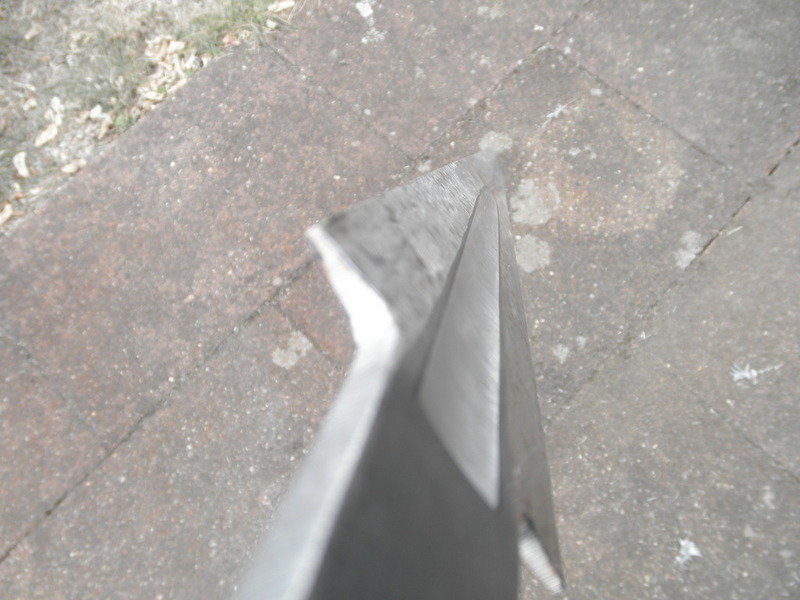 So, let's hope the blade survives heat treat and comes back straight! The blade made it through heat treatment fine. There was some warping but that could be corrected. Here it is almost ground to final shape. Edges are just shy of sharp. The fittings come with a high glossy finish that I will bring down a bit to a nice satin shine. I don't mind that at all, much easier to bring a polish down than to clean up a rough casting finish. When does mass production begin?!! If everyone buys in, think of how affordable it could be! On a more serious note, that's a beautiful weapon. I just don't have the space or the funds for anything of that caliber. Looking good, Lukas. I bet those fittings would go well in black. What's the weight for the guard and for the pommel? I haven't weighted the guard yet but I'm told it weighs about 300g. 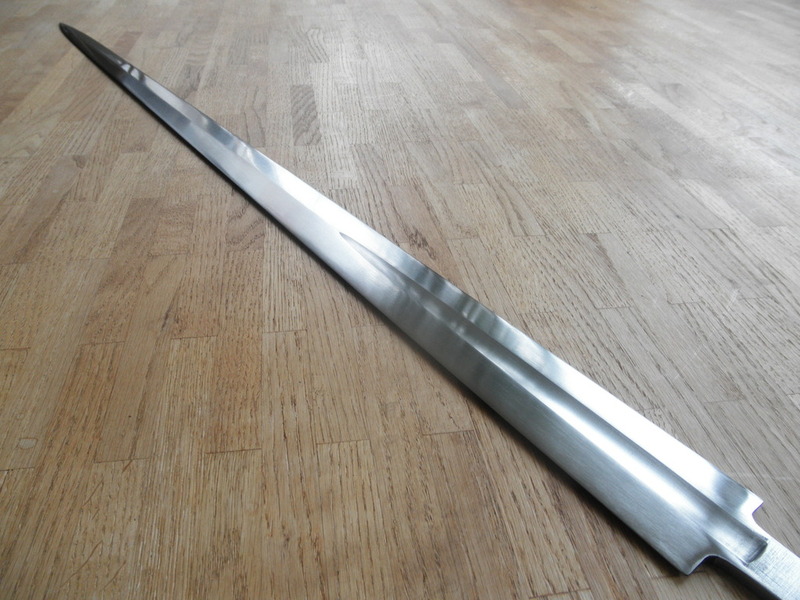 Pommel weight is 285g. 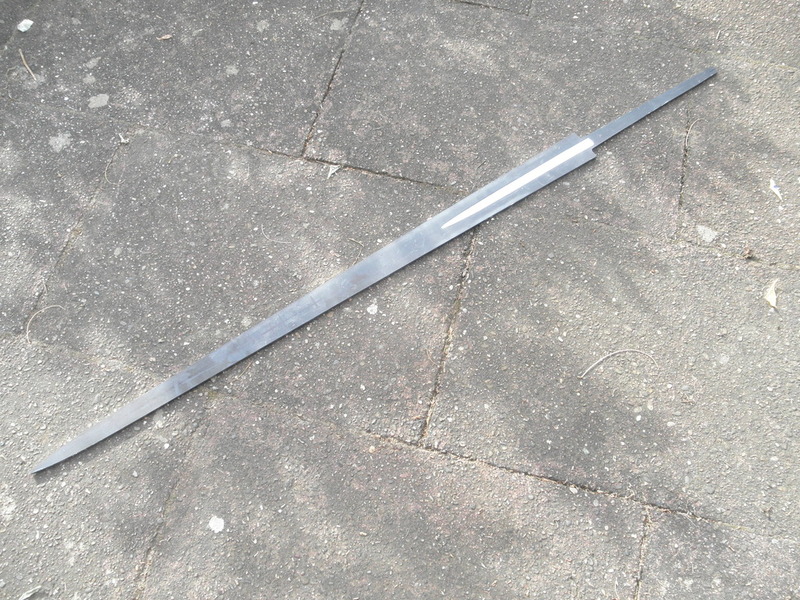 The guard is quite heavy as is usually the case with ring hilts. But since the mass is so close to the hand, it's not a problem as far as the handling is concerned. 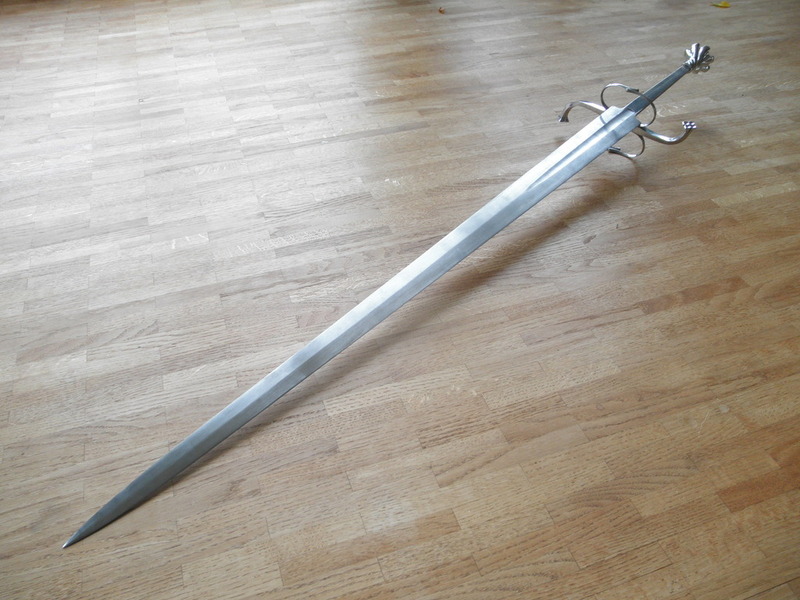 The guard is quite heavy as is usually the case with ring hilts. Personal pet peeve here: calling these ring hilts drives me nuts. Ring hilts are Migration-era hilts with a ring on their pommels or possibly the "Irish" style with a ring pommel (a misnomer too, imo). 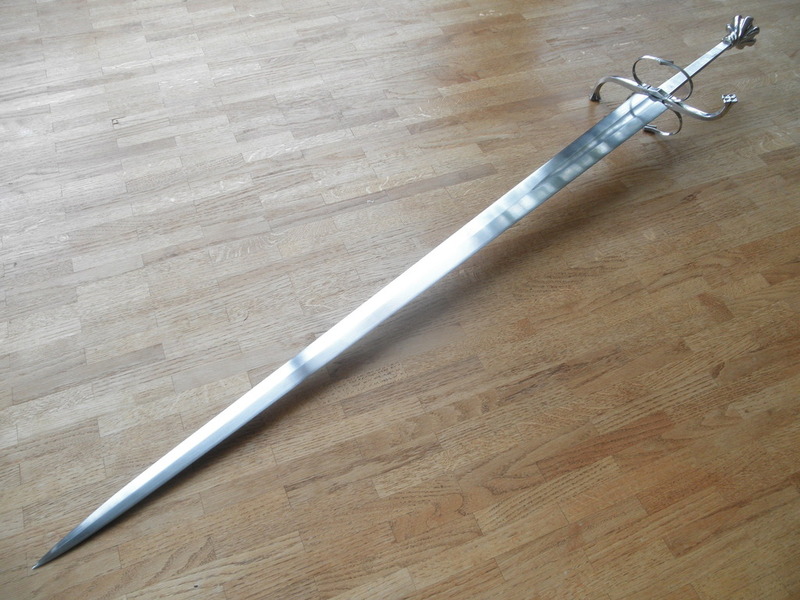 The sword in this topic is merely called a compound or complex-hilted longsword. If further description is necessary, it can be said to have two side rings, horizontally-recurved quillons and a writhen or "Astknauf" pommel.